It's the countryside you've always dreamed of. Three plateaus of land over the span of 20 acres of hiking, biking, ATV trails, fire pits, woods, streams and wild life. 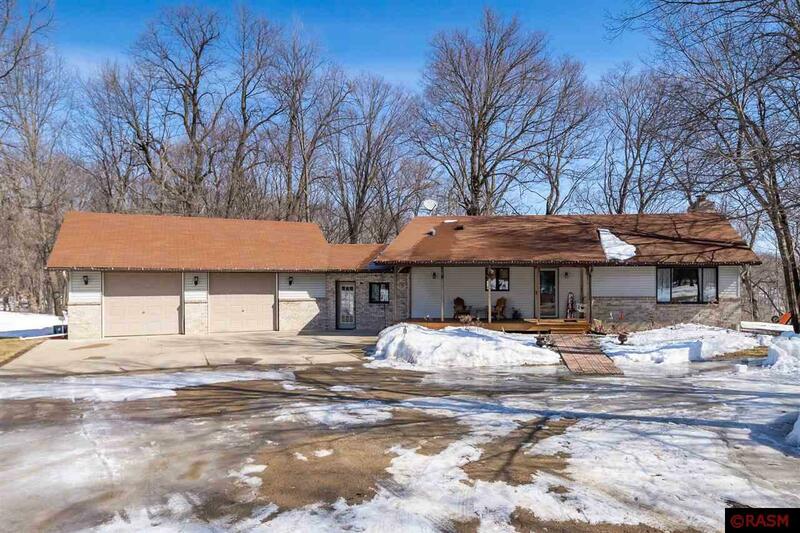 Located between Belle Plaine and Henderson off the Scenic Byway, you will find this 3 bedroom (potential 4th bedroom with added egress window) 3 bathroom Rambler with an over sized heated garage and additional 30x45 Pole Barn. Wide open living area with vaulted pine ceilings, concrete countertops, surround sound, hard wood floors and a brick fireplace. The 3 season porch has floor to ceiling windows overlooking an outdoor water feature, and the forest. 5 year old septic system, newer roof, finished lower level with family room, bathroom with heated floors, and foam insulated foundation. The content relating to real estate for sale in this Web site comes in part from the Internet Data eXchange ("IDX") program of REALTOR Association of Southern Minnesota. Real estate listings held by brokers other than the website owner are marked with the IDX Logo and detailed information about each listing includes the name of the listing broker. The information provided by this website is for the personal, non-commercial use of consumers and may not be used for any purpose other than to identify prospective properties consumers may be interested in purchasing. Some properties which appear for sale on this website may subsequently have sold or may no longer be available. This content was last updated on 04/23/2019 07:00 All information is subject to change and is supplied by seller and other third parties and should be independently verified. Information is deemed reliable but is not guaranteed.